It may have been cold outside, but Air Canada warmed things up for about 200 of its industry partners at a gathering designed to update the crowd on how things went in 2018 and where the airline is headed in 2019. Virgilio Russi, the carrier’s senior director of sales for Canada, told the group that 2018 was a strong year for the airline, noting as well that in the past 3 years, Air Canada had launched 50 international and transborder routes, growing its capacity by 40%. Russi continued, telling his audience that 2019 won’t see the same kind of growth, as the carrier will be focusing on making the routes that it has previously launched in the past three years into daily, year-round routes. 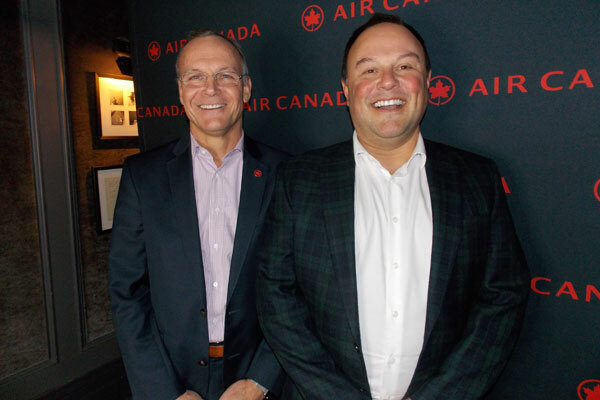 John MacLeod, vice-president – global sales and alliances, for Air Canada, agreed with Russi, and praised the carrier’s sales team for not just meeting their sales targets in 2018, but exceeding them. And he added that the support of its industry partners was a big part of AC’s success in the year just past. As for 2019, MacLeod made it clear that he has no doubt that it’s going to be a great year and that AC is calling it the Year of the Customer. During 2019, MacLeod told the crowd of industry VIPs that Air Canada will working to replace its narrow body fleet; it will be rolling out a new reservation system; and it will be working on the re-launch of Aeroplan. So stay tuned, as 2019 looks like it’s going to be an exciting year for Air Canada.